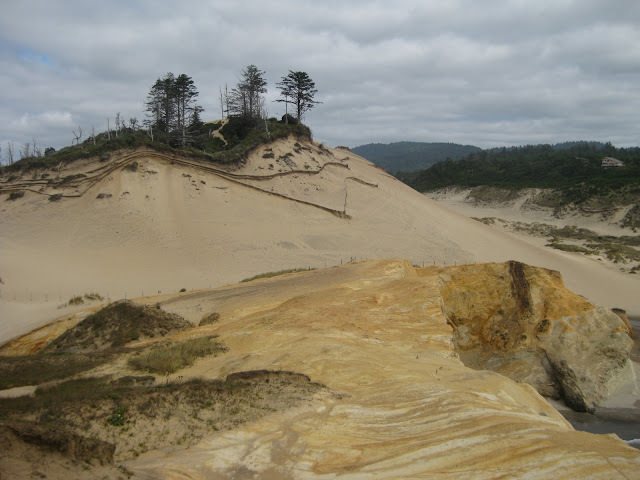 Cape Kiwanda, the perfect place to sandboard! What is sandboarding? Sandboarding is a board sport similar to snowboarding. It's a sport that takes place on sand dunes rather than snow-covered mountains. Cape Kiwanda, located in Pacific City, Oregon is not only the perfect place to sandboard, but you can rent the boards right across the street at the Cape Kiwanda RV Resort Marketplace. They are the only company that rents and sells sand boards and accessories on the North Central Oregon coast. If you're looking for an adrenalin rush on your Oregon Coast vacation, give sandboardimg a try at Cape Kiwanda in Pacific City, just 10 minutes from our bed and breakfast, Sandlake Country Inn. Oregon Coast Activities #17, From our blog series "101 Things To Do On The Oregon Coast". 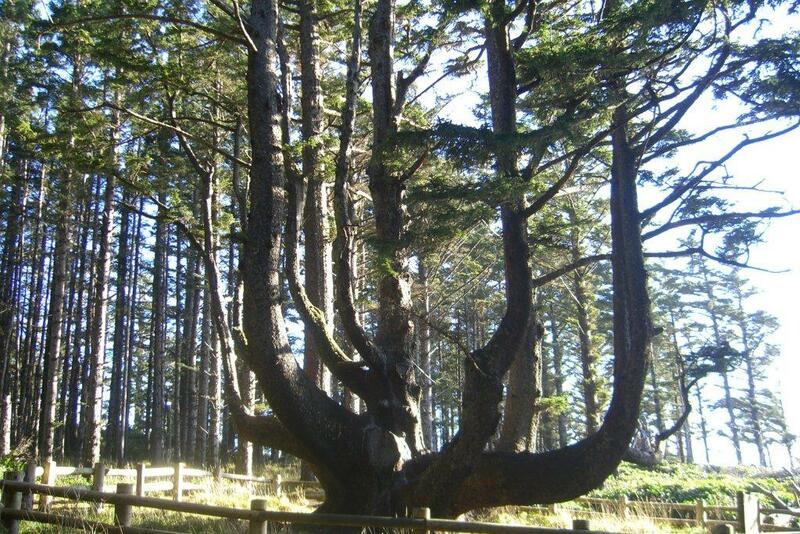 Located in the same area as the Cape Meares Lighthouse, The Octopus Tree is a short walk up from the main parking lot. This giant old Sitka Spruce did not develop into a massive single trunked tree as most spruce trees do along the Oregon Coast. The Octopus Tree is a massive Sitka spruce with branches growing like giant tentacles from its 50-foot base. 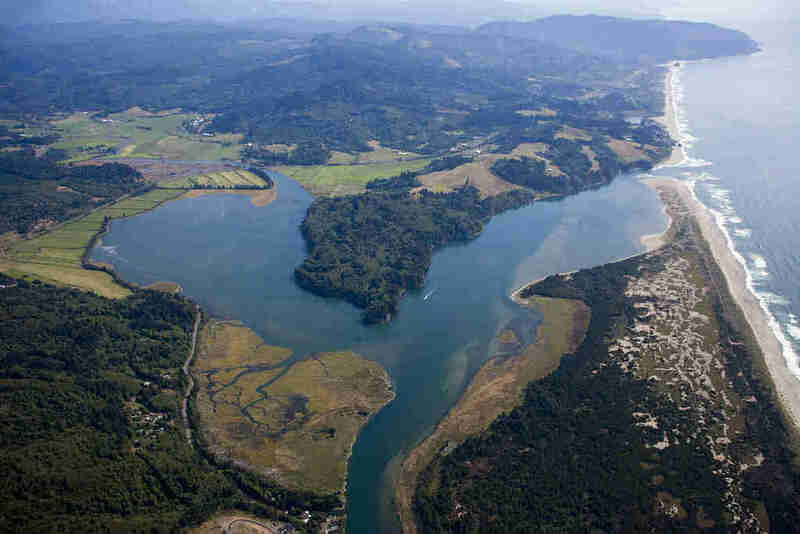 It is situated approximately 600 feet from the scenic viewpoint. The tree’s odd shape, according to local historians and Tillamook tribal descendants, comes not from the ravages of wind, as some have said, but from its function as a ceremonial site, shaped to hold cedar canoes and other ritual objects. This tree, recognized the tree as one of several "Indian Ceremonial Trees" trained over time, a common practice of the Coast tribes. One of the many sacred evergreens on the North Coast, the Octopus Tree was specially venerated, probably serving as the gathering site for important Tillamook tribal rites. Typical of such specially chosen trees, the branches of this spruce were forced downward toward a horizontal position when they were still flexible, finally extending about 16 feet from the base. When allowed to resume vertical growth, each branch reached skyward to more than 100 feet, creating the distinctive shape. Located along the Three Capes Scenic Route, follow directions to the Cape Meares Lighthouse. Oregon Coast Activity #16, Octopus Tree, From our blog series "101 Things To Do On The Oregon Coast". Not to be confused with the 'other' cheese company in Tillamook, the Blue Heron French Cheese Company is not a cheese factory. Don't let that disappoint you though! The Blue Heron French Cheese Company is a combination of a farm with animals you can feed, a gourmet food store, a deli restaurant, a wine tasting bar with a hugh inventory of Oregon wines and oh yes.....the brie cheese! Blue Heron is widely known for their creamy delicious brie which comes in traditional, herb garlic, peppercorn and hickory smoked. It's a must see when in Tillamook. Oregon Coast Activity #15 Blue Heron French Cheese Company, From our blog series "101 Things To Do On The Oregon Coast". One of the most popular Oregon coast activity is birdwatching. The Oregon Coast is a birdwatchers paradise! Year around, the Nestucca Bay Wildlife Refuge deserves a stop, but it's especially exciting in spring and fall. Located just south of Pacific City, Oregon, the Nestucca Bay Wildlife Refuge provides important winter habitat for the formerly endangered Aleutian Canada goose and serves as an important overwintering site for 15% of the declining population of the dusky Canada goose. Other subspecies of white-cheeked geese, including cackling geese (Taverner’s and cackling) and Canada (lesser and western), also use refuge pastures. The freshwater wetlands and estuarine habitats support thousands of migratory waterfowl and shorebirds. Oregon Coast Activities #14, from our blog series "101 Things To Do On The Oregon Coast". Feeling lucky? This Oregon Coast Activity will test your luck! The only beach front casino on the Oregon Coast, Chinook Winds Casino is operated by the Confederate Tribe of the Siletz and is located in Lincoln City, Oregon. Whether it's table games, slots, keno, poker, restaurants or concerts, Chinook Winds Casino has it all. 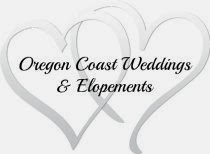 One of the most popular Oregon coast activity! What's more romantic than experiencing a beautiful Oregon beach sunset with your sweetheart on the back of a horse? Whether it's sunset or day time, a beach horseback ride on the Oregon coast is on many people's bucket list. During your visit on the Oregon Coast, there are several places where you can ride on the beach and cross this one off your bucket list! Just a few minutes from Sandlake Country Inn, our Oregon Coast bed and breakfast, there are two experienced companies that offer beach horseback riding in Pacific City, Oregon. It is highly recommended that you contact them ahead of time to make a reservation and/or check availability, especially in the busy summer. Rides are dependent on weather conditions and typically not offered in winter.